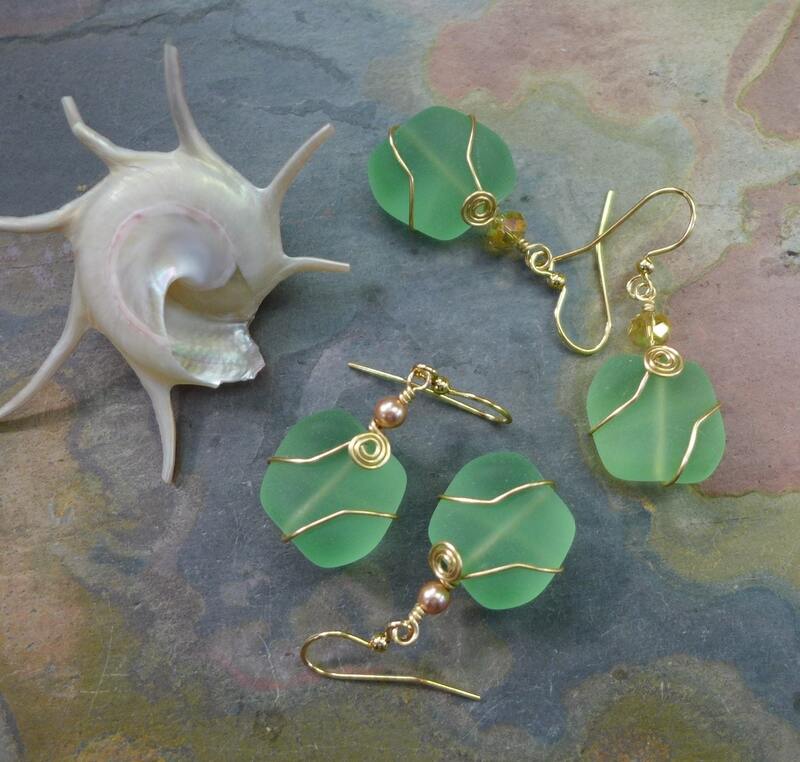 Gorgeous Sea glass Beads in shade of light Green !!! 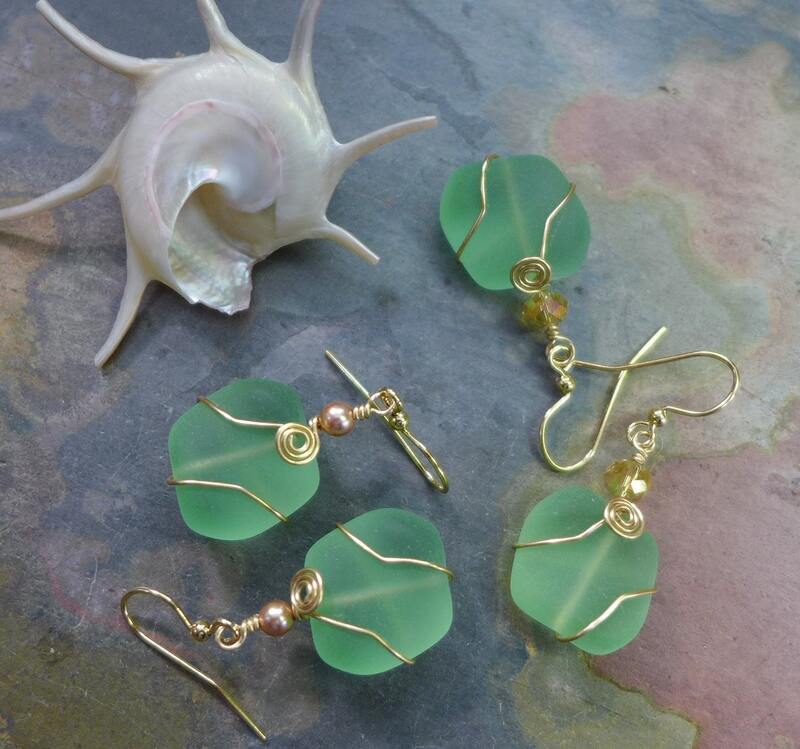 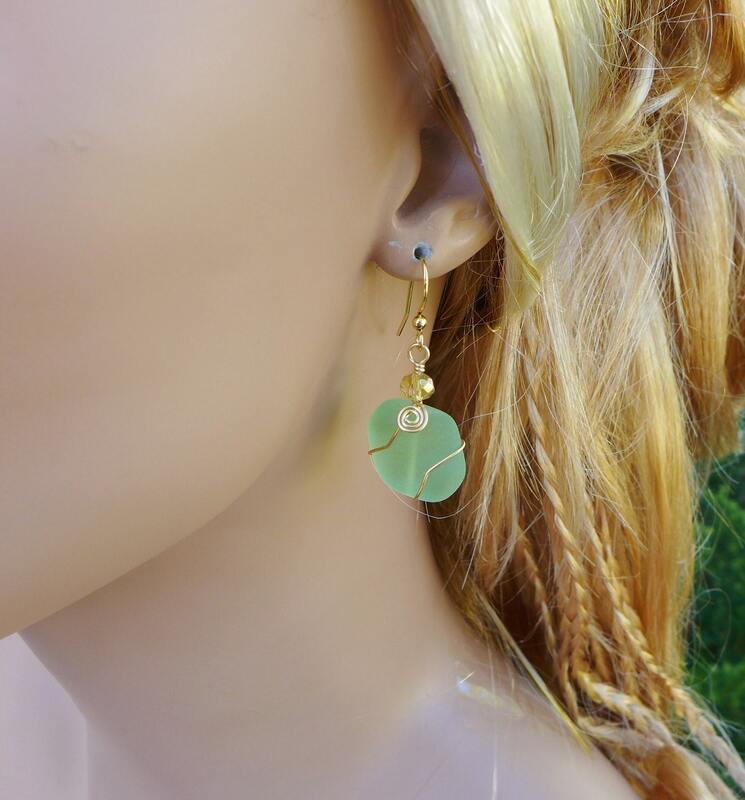 These fun, colorful earrings are carefully Wire Wrapped with gold craft wires on recycled unique, wavy nugget sea glass beads approximately 18 x 17 mm. 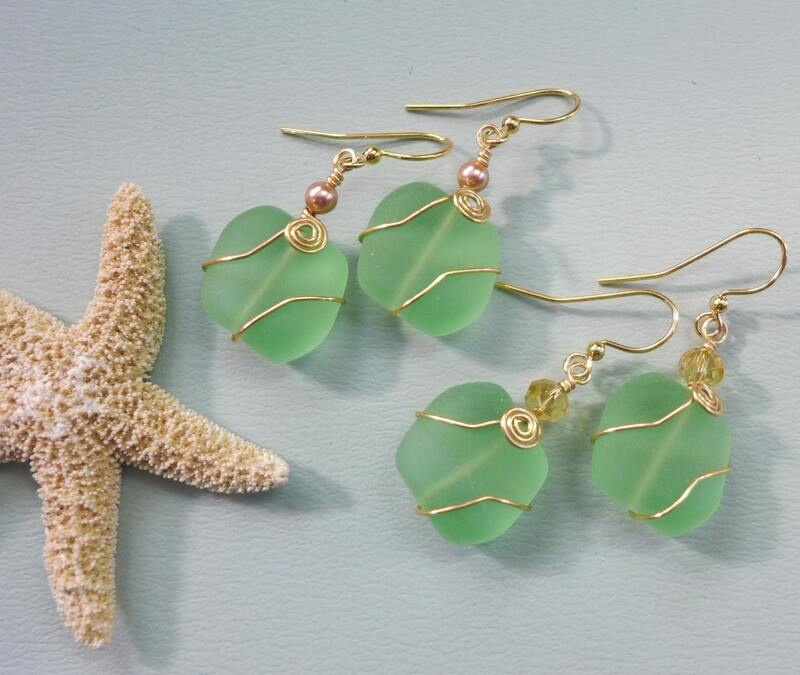 They are dangling down from crystals, Swrovski Rose Gold pearl beads. 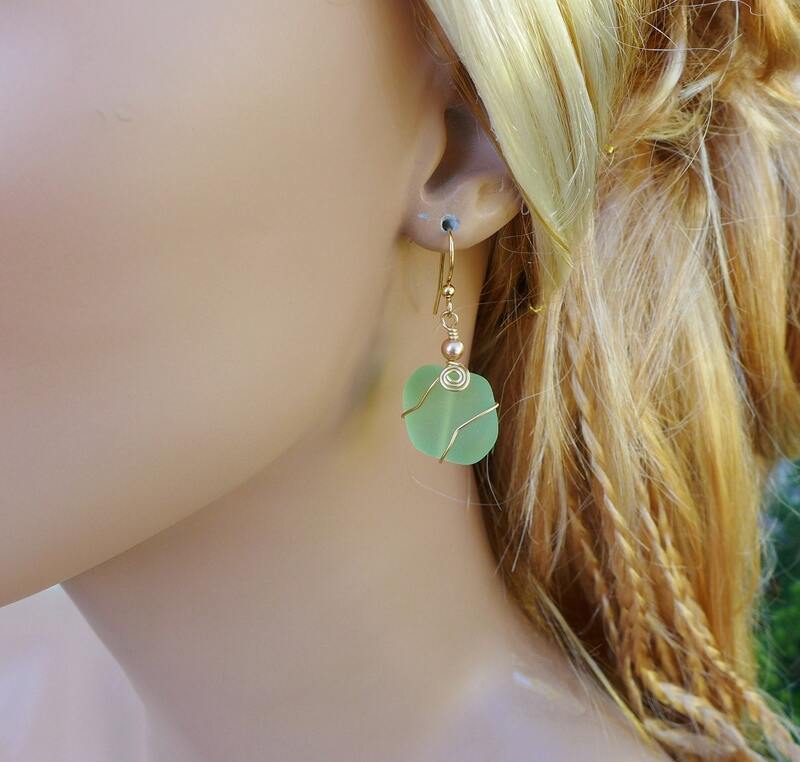 They dangle nicely slightly over 1 inch from the bottom of the gold finished earwires.